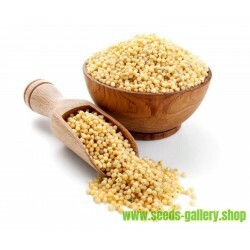 Price for Package of 5, 10, 50 seeds. 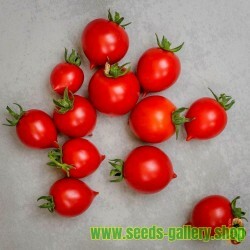 Tomato 'Black Plum' is a Russian commercial variety. 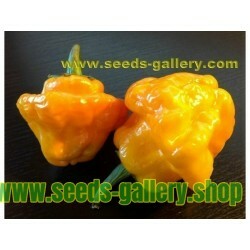 The plants are extremely heavy croppers, producing tons of sweet, elongated, mahogany-hued, fat fruits. 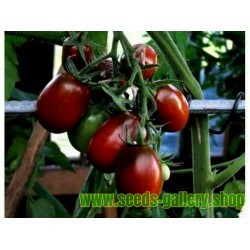 It is a robust and trouble free variety that in suitable for growing in the greenhouse or outdoors. The word 'black' when applied to tomatoes can refer to anything from russet-red to smoky purple, dependent on the weather. In the case of Black Plum it's more of a chestnut red with green flambéed shoulders. A gorgeous sight when the plant is hung heavily with clusters of the pretty fruit. 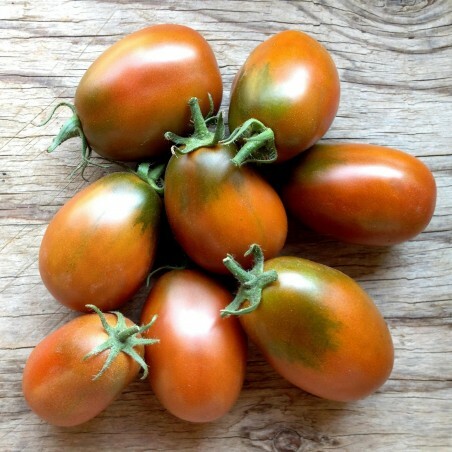 The elongated large plum-shaped fruits grows to around 8cm (3in) and has the most intense, complex tomato flavour; deep, rich, smoky sweetness, with a tangy aftertaste. Outstanding eaten fresh, cooked in sauces or paste, or dried. 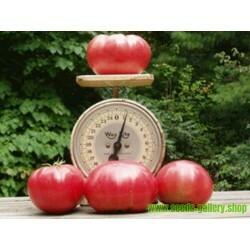 Because of its thick flesh and mild flavour it's good at adding substance and big tomatoey chunks to a dish. It imparts a slightly dusky hue to sauces.Indeterminate they mature in 75 to 82 days. As they cannot tolerate any degree of frost the timing for sowing and planting outside is key to successfully growing tomatoes. Where the seeds are sown under cover or indoors, aim to sow the seeds so that they reach the stage to be transplanted outside three weeks after the last frost date. 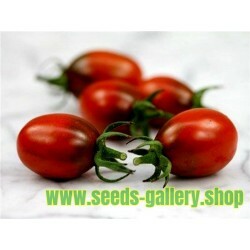 Tomato plants take roughly seven weeks from sowing to reach the transplanting stage. For example, if your last frost date is early May, the seeds should be planted in early April to allow transplanting at the end of May. Tomatoes require a full sun position. Two or three weeks before planting, dig the soil over and incorporate as much organic matter as possible. The best soil used for containers is half potting compost and half a soil-based type loam: this gives some weight to the soil. Plant about 3mm (1/8in) deep, in small pots using seed starting compost. Water lightly and keep consistently moist until germination occurs. 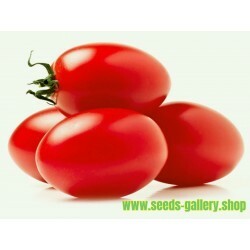 Tomato seeds usually germinate within 5 to 10 days when kept in the optimum temperature range of 21 to 27°C (70 to 80°F). As soon as they emerge, place them in a location that receives a lot of light and a cooler temperature (60 to 70°F); a south-facing window should work. When the plants develop their first true leaves, and before they become root bound, they should be transplanted into larger into 20cm (4in) pots. 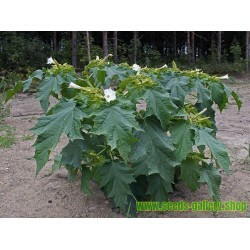 Young plants are very tender and susceptible to frost damage, as well as sunburn. I protect my young plants by placing a large plastic milk jug, with the bottom removed, to form a miniature greenhouse. Depending on the components of your compost, you may need to begin fertilising. If you do fertilise, do it very, very sparingly with a weak dilution. Transplant into their final positions when they are about 15cm (6in) high. 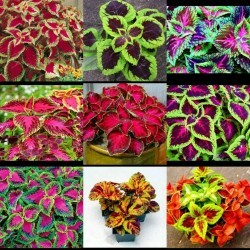 Two to three weeks prior to this, the plants should be hardened off. Just before transplanting the tomato plants to their final position drive a strong stake into the ground 5cm (2in) from the planting position. The stake should be at least 30cm (1ft) deep in the ground and 1.2m (4ft) above ground level - the further into the ground the better the support. As the plant grows, tie in the main stem to the support stake - check previous ties to ensure that they do not cut into the stem as the plant grows. Dig a hole 45cm (18in) apart in the bed to the same depth as the pot and water if conditions are at all dry. Ease the plant out of the pot, keeping the root ball as undisturbed as far as possible. Place it in the hole and fill around the plant with soil. The soil should be a little higher than it was in the pot. Loosely tie the plant's stem to the support stake using soft garden twine –allow some slack for future growth. A constant supply of moisture is essential, dry periods significantly increase the risk of the fruit splitting. Feed with a liquid tomato fertiliser (high in potash) starting when the first fruits start to form, and every two or three weeks up to the end of August. In September, feed with a general fertiliser (higher in nitrogen) in order to help the plant support it's foliage. Over watering may help to produce larger fruit, but flavour may be reduced. Additionally, splitting and cracking can result from uneven and excessive watering. When the first fruits begin to form, pinch out the side shoots between the main stem. 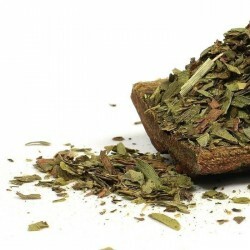 Also remove lower leaves which show any signs of yellowing to avoid infection. 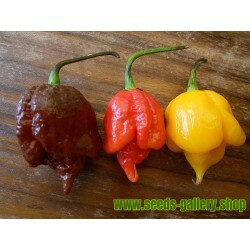 Pick as soon as the fruits are ripe, this also encourages the production of more fruit. 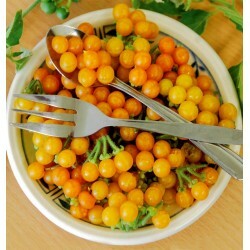 Harvest all the fruit as soon as frost threatens and ripen on a window sill. 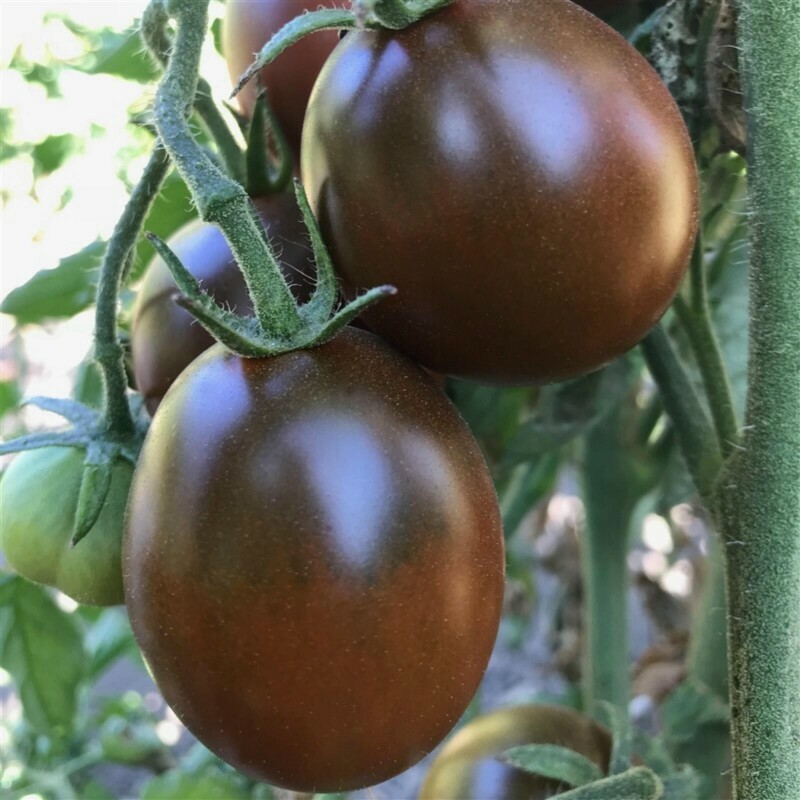 Black Tomatoes are native to the Southern Ukraine and their seeds were later distributed throughout Western Russia after the Crimean War by soldiers returning home from the front during the early 19th century. Though black tomatoes originally existed in only a relatively small area on the Crimean Peninsula and were limited to only a handful of recognisable varieties, in the years to follow, new varieties of all shapes and sizes began to appear throughout the Imperial Russian Empire. Today there are at least fifty varieties of black tomato found in the territories of the former Soviet Union, as well as nearly a dozen other types of new black tomatoes which have cropped up elsewhere, most notably in Germany, the former Yugoslavia and the United States.